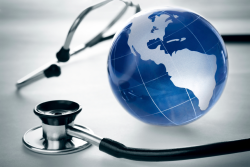 In Global Health Law Larry Gostin describes and analyses, with great authority and moral commitment, what law may be able to contribute to promoting the health of the world and especially those most disadvantaged. This book will surely serve as a valuable reference source, and inspiration, not only for lawyers but also many others, both academics and practitioners, who are concerned with global health. In this review I will focus on those aspects which relate most closely to the work in which I have recently been involved as a member of the Lancet-University of Oslo Commission on Global Governance for Healthi, namely Chapter 3, Global Governance for Health, but also Chapter 7, The Framework Convention on Tobacco Control, which shows what was in fact possible in one specific and very important case; and Chapter 9, Health, Trade and Intellectual Property, which indicates how great the challenge may be in other cases.